The search is on for the Best University Startups of 2017. 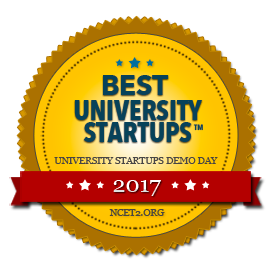 We are calling all universities and their startups to apply and be considered to present live at the next University Startups Conference and Demo Day on April 18-20, 2017 in Washington, D.C. The National Council of Entrepreneurial Tech Transfer (NCET2) will hold its second University Startups Demo Day (USDD) at the Washington Convention Center in Washington, DC on April 18-20, 2017. 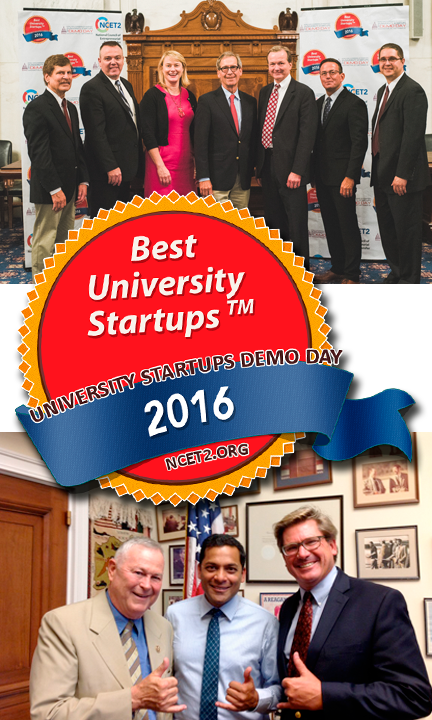 The USDD is part of the annual University Startups Conference. It provides universities and their startups, corporate open innovation and venturing groups, VCs, and angels access and opportunities to discover, network, and explore meaningful partnerships. The event also raises awareness in Congress of the pivotal role that universities play in the formation of high potential startups, the creation of high-value jobs across the country, and overall national competitiveness. The USDD will showcase 40 of the Best University Startups for 2017 in the following technology areas: Pharmaceuticals and Medical, Advanced Manufacturing, Cleantech and Engineering, ICT, and Consumer-Facing Platforms. The startups will be evaluated and scored by the Selection Committee, comprised of corporates in open innovation and venturing. 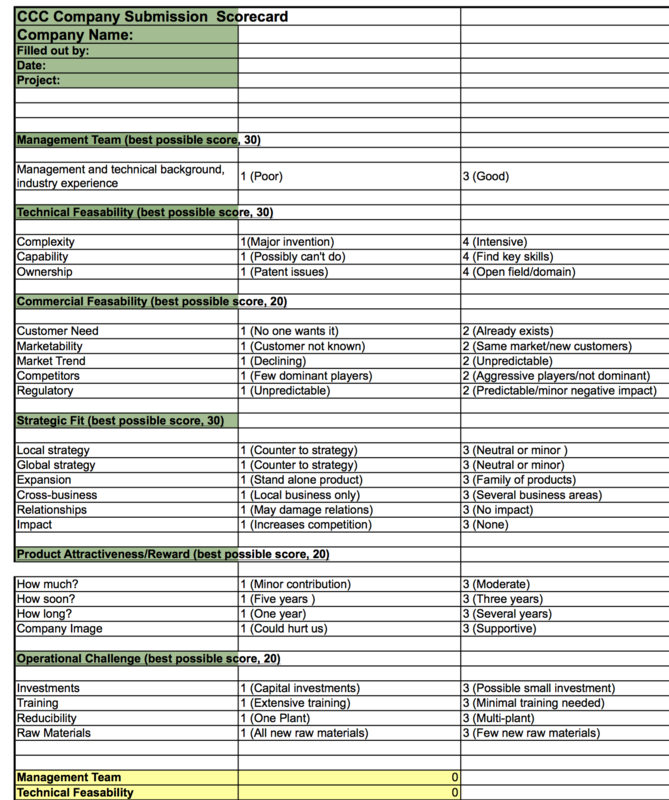 They will select and score the companies based on (1) corporate interest, and (2) venture metrics. * Companies that submit beyond the 200 limit will be submitted for the next University Startups Demo Day later in 2017. * Submissions not selected in the first round will be automatically re-submitted and included in the second selection round. The search is on for the Best University Startups of 2017. 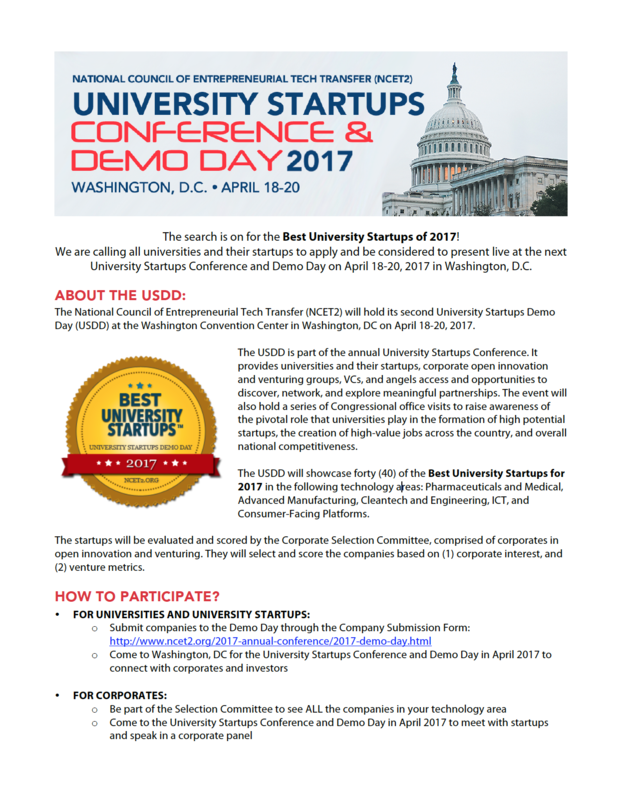 Startups from universities all over the country are invited to submit and be considered to present, meet, and network with Global 1000 and Fortune 500 corporations, angels, VCs, and SBIR program managers at the next University Startups Conference and Demo Day on April 18 to 20, 2017 in Washington, DC. Your company should be affiliated with a university. Companies may self-nominate but indicate a university Startup Officer for verification. Only open to U.S. universities and U.S. startups/companies. Only companies that submit online will be considered officially entered. The company must be legally incorporated. For Global 1000 and Fortune 500 Corporations that want to be part of the Selection Committee. See all the startups submitted in your technology area.